A new promotional trailer for the upcoming Wii U exclusive adventure Paper Mario: Color Splash has been released. The trailer introduces the Rescue V: a team of brightly colored mushroom characters organized to defeat bad guys and rescue good guys ala Super Sentai. These “color defenders” are along to help leading man Mario complete his umpteenth quest. The video includes just a bit of game-play showing some of the ways the Rescue V will assist Mario, as well as a humorous skit featuring the witty sidekicks. 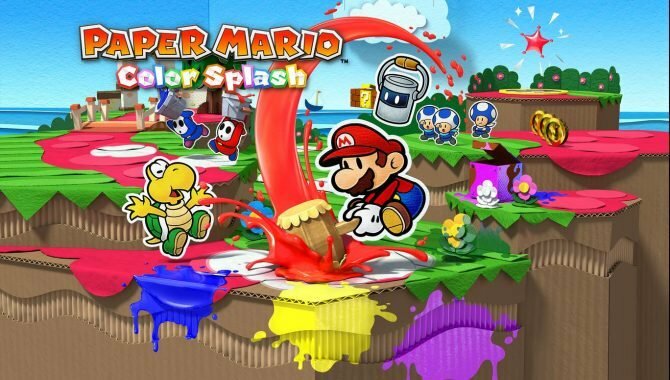 Paper Mario: Color Splash launches on October 7th.